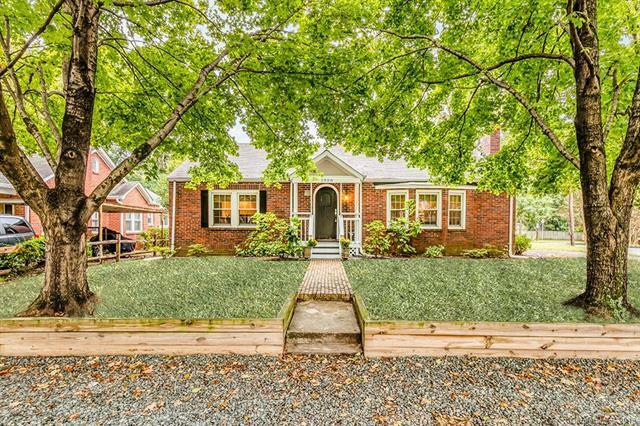 Charming brick cottage on an oversized lot in Plaza Midwood! Tons of space to entertain both inside and out. Living room with fireplace, built-ins and wall sconces. Updated kitchen features stainless steels appliances and plenty of cabinet storage. Master bedroom with double French doors that lead out to screened-in porch. Spacious laundry room with extra storage. Back deck overlooks huge fenced-in yard. Just a short walk, bike or scooter ride to Plaza Midwood shopping and restaurants, and a only minutes drive to Uptown Charlotte.